Two years ago, Rick Trojan and his team at Colorado Cultivars found a wild hemp plant growing on the side of the road. It looked kind of like a Christmas tree, he said. 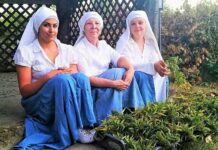 They brought it into their greenhouse and began doing research, cultivating different strains of hemp so they could plant each section of their field in Eaton with one specific type. That one plant turned the company into one of the largest hemp operations in the country. This past year, the company grew about 300 acres of hemp in its first growing season. This year, Trojan said they’ll plant between 1,500 and 2,500 acres — more than all of Colorado planted in 2015. In a few months, as 10-foot-tall corn plants dry in nearby fields, hemp will stretch as far as the stalks, ready to become clothing, supplements, paper and more. The farm is an extreme example — it’s expected to be the largest operation in the country again this year — but its growth represents Colorado’s hemp industry. Duane Sinning with the hemp division at the Colorado Department of Agriculture said from 2014-15, the number of acres of hemp planted increased from 200 to about 2,000. He doesn’t know what to expect this year — hemp-growing registrations are still rolling in — but he knows the state will see another huge jump. That first year, many people got permits to grow just so they could scoff at the federal government, Sinning said. Now, when people get a permit, they’re hoping to grow a business. One thing Sinning knows for sure is hemp is putting down roots into the state’s ag scene, and as it grows, so will the already budding acceptance of the crop. 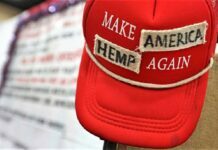 The demand for hemp was already high, Sinning said, and now that Colorado farmers are allowed to grow it, it will serve a market currently being addressed by Canada. The demand may have been high, but the reason U.S. farmers weren’t meeting it is pretty simple: People still think it’s pot. Hemp has been illegal for years in the U.S. It was first aligned with marijuana in 1937 and specifically outlawed in 1970. In recent years, many states have passed laws allowing for the research or cultivation of industrial hemp crops. When Amendment 64 passed in Colorado in 2012, it instructed Colorado’s Legislature to create a hemp policy. Laws governing industrial hemp in Colorado went into effect in 2014. Mike Sullivan, a hemp grower from Johnstown who grows in Brighton, and other hemp growers in the state hope to continue to educate the most conservative folks in the agriculture industry about the differences. At first, hemp growers faced a lot of pushback since the plant is similar and closely associated with marijuana. Both are cannabis, but through careful plant breeding, different strains were derived. 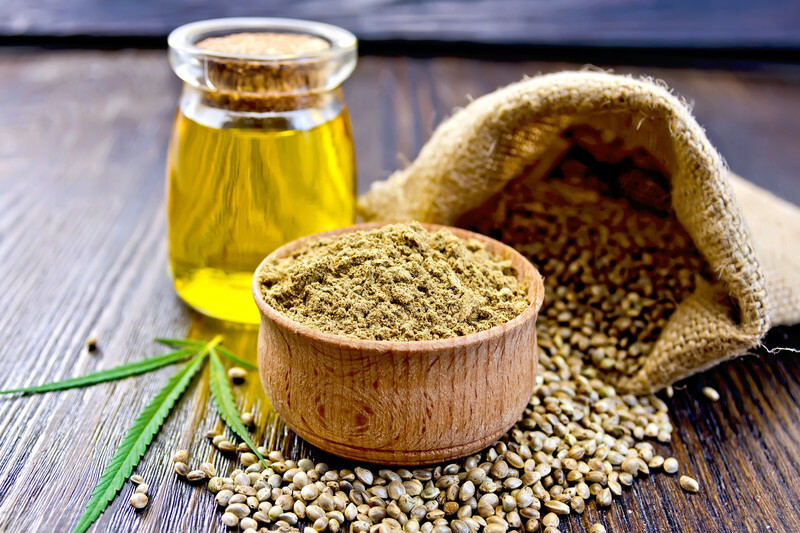 Hemp has low THC content, which is the intoxicating chemical in cannabis, and was bred for its fibers and oils. Marijuana was bred for the THC content. Hemp has no hallucinogenic properties and as regulated by the state, can’t contain more than 0.3 percent THC. You could smoke hemp for hours, in other words, and all you’d get out of it is a headache. Happy Hempo, a hemp-products company based out of Greeley that started in August 2013, hopes to use more Colorado-grown hemp as it becomes available. The company originally dealt only with hemp twine for self-made crafts such as hacky sacks and bags. Now, though, it’s expanded to include retail products. Some of its products come from Colorado, but the majority of their raw materials come from Canada, said Aaron Zimola, the company’s founder. That may continue for now. The problem is price: Zimola can get a yard of hemp-spun material to make a tote bag for as little $5 from Canada. The same material would cost two or three times that if he bought it locally. Farmers in Colorado say their product would be cheaper, but they face a shortage of hemp processing equipment in the state, like a decorticator to strip the outer layers and stalks from the hemp. Both Trojan and Sullivan said for the Colorado hemp industry to grow and thrive, more processing companies and facilities need to move in. That way, when hemp is harvested, it can be processed into fiber, seed, oil, flour or any of the plant’s other uses. “The infrastructure is starting, but it needs to be built up,” Trojan said. It’s more than just processing equipment that needs to develop, Sullivan said. It’s the machinery farmers use to get hemp out of the field. Currently, most farmers use equipment made to harvest other crops they modify for hemp. Sullivan used a corn combine this past year, but had to stop every 45 minutes to check for any clogging. It took two full days to harvest 60 acres and cost 10 times as much as it would have to harvest corn, he said. So why do it? Corn prices are way down and hemp prices are robust. That’s the dilemma. Hope is on the horizon. Sinning said more processors are moving in since they’re seeing the industry grow so fast in the past two years. He also said he’s seeing more interest from equipment companies and more innovative solutions from farmers. Sinning said not long ago, someone from another state approached him and told him hemp would never grow well in Colorado. It grows like a weed in wetter climates, so how would it do in a dry place such as Colorado? Well, corn grows well in Iowa, too, Sinning said. Ever since Trojan first found that little plant by the side of the road, he knew it had potential. Despite the plant being federally illegal for years, the little wild strain was still sticking around. That showed hemp has a will to live, Trojan said. When Colorado Cultivars planted their fields in Eaton, he said the crop was robust from the start. As it turns out, hemp may thrive in Colorado even more. It’s a drought-resistant crop that doesn’t seem to need a lot of water to grow. During a panel discussion at the Governor’s Forum on Colorado Agriculture, southern Colorado farmer Grant Mattive spoke about how hemp helped his operation. He switched hemp in as a rotational crop, and in comparison with his barley crop, it only used a third of the water. Mike Sullivan, who farms hemp in Brighton, said his crop this past year grew amazingly well and also used a third of the water it would take to grow the same amount of corn. The average plant height was 10 feet tall, and it grew thick as a jungle. “It basically grew itself for two months,” Sullivan said. Trojan said using hemp as a rotational crop leaves the soil in better condition, and it’s a good value for a farmer because hemp brings in more value than traditional rotational crops. Sinning said some of the farmers he’s spoken with have told him the crop is also perfect for Colorado’s seasons. 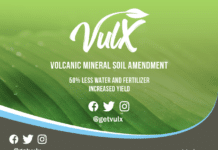 It needs its moisture early on but can maintain itself through the state’s long, hot, dry summers. Since pesticides are largely regulated on a federal level, there are currently no pesticides approved for hemp, which eliminates another input cost on the crop for farmers. Sullivan, who lives in Johnstown, grows primarily for seed. 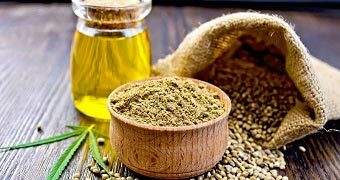 Since federal laws govern international trade, and industrial hemp is still illegal on the federal level, no seed can be brought in from out of the country or state. So Sullivan harvests seed out of his fields to not only maintain next year’s crop, but also to sell it to other farmers. The Colorado Department of Agriculture is also working on a certified seed program, like it has for other major crops. Sinning said the department plans to have a limited number of seed by next year, and a respectable amount by 2018. As existing hemp farmers have seen successes with the crop in Colorado, Sinning said he’s getting more and more calls from traditional farmers asking questions about the crop. The crop looks like marijuana. It smells like marijuana. Yet Sullivan will grow about 80 acres of hemp, and he doesn’t keep a fence around his field. He isn’t worried about some kid coming and stuffing a trash bag full of his crop. Hemp isn’t pot. Trojan did a project he called the Hemp Road Trip earlier this year, where he traveled across the U.S. to teach people the benefits of hemp, the difference between hemp and marijuana, and to advocate for national legislation to legalize the plant. He said in 2015, when he talked to farmers across the Front Range and plains, they gave him a lot of guff, but now, they ask questions as if it were any other legitimate crop. He thinks commodity prices are directly to blame for the shift: Corn prices are so low farmers are opening their minds to growing something else. The growth of the NoCo Hemp Expo, which took place Friday and Saturday at The Ranch in Loveland, shows not only the ballooning industry in Colorado, but also the rapidly changing attitude toward hemp. Morris Beegle, the organizer of the event, said when the expo started out in 2014, it was at a small venue in Windsor. The next year, it moved to an outbuilding at the Budweiser Events Center. Now, it’s in a building at The Ranch three times the size of this past year, and it sold out vendor space. People are coming from all over the world. “This has turned into the biggest hemp event on the planet for 2016,” he said. The conversations around hemp are changing, he said. 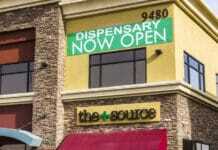 “Here in Colorado, we live in this marijuana bubble, and we hear about it all the time,” he said. That’s something he wants to change — why just talk marijuana instead of also talking hemp, a crop with hundreds of possible uses? That’s not to say he doesn’t think the battle for the legalization of recreational pot wasn’t worth fighting. It’s just not his fight. Zimola, founder of Happy Hempo, fights the battle on the retail side, too. He has people come up to him in his store, or contact him online, outraged that he’d sell “marijuana products.” He said he even had people come into his store and pick up a hackey sack and ask if they could load the entire thing into their bong. According to the National Conference of State Legislatures, 28 states have a statute in place to regulate industrial hemp growth or research, but the crop, much like pot, is still illegal federally. 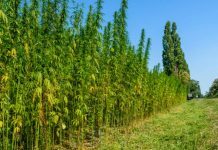 The 2014 Farm Bill allowed universities to start researching industrial hemp, though, and in 2015, legislation was introduced in both houses of Congress to take steps toward legalization. Colorado Rep. Jared Polis, a Democrat, was a bill sponsor. Since there’s a patchwork of different laws across the country, each regulating hemp, hemp seed and hemp processing differently, the quickly developing hemp industry in Colorado is positioning itself to be a leader in the country if federal legalization occurs. 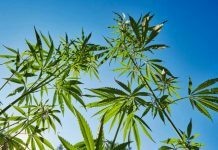 Even though hemp has been grown in other states, like Kentucky, for much longer, the work being done here is innovative and has the potential to make hemp an integral part of the country’s agricultural profile, Trojan said.